Whatipū’s wild beauty is a unique location for weddings, birthdays, family reunions, friends getting together and other special events. 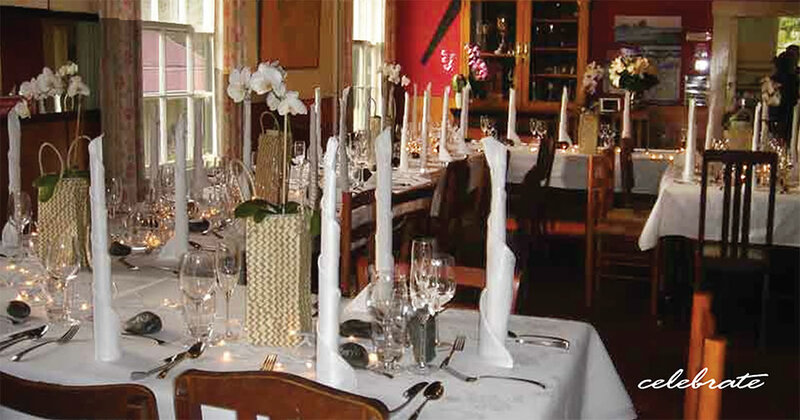 We can help you make an occasion truly memorable for your family and guests. Create an event to suit YOU! Whether you choose a completely DIY wedding, a group of friends - classic Kiwi BBQ, a family reunion - all-organic roast feast or a clubs - pot-luck spread - the choice and arrangements are yours. We have the facilities and landscape to make it memorable. Whatipū Lodge is an unlicensed BYO venue which means you can reduce your bar tab and you get to choose what is served. You bring the food and beverages - we provide the cooking facilities including our eclectic mix of utensils, crockery and cutlery (for up to 40 people). You will need to hire stemware. The Lodge is very flexible with a range of outdoor locations and private indoor spaces available for your use. If you are looking for a venue that is unique and cost-effective we do a range of options for 10 to 80 guests. Talk to us - we can help make your event special. We can also recommend suppliers who are familiar with the facilities. Overflow Accommodation – the Lodge sleeps up to 37 guests. The Whatipū Bach can accommodate an extra 8 guests. Camping is also available within the Lodge grounds for larger groups attending a celebration event with full use of the Lodge facilities – showers, toilets, kitchen facilities. Additional fees apply for more than 37 people. A room plan can be found under our 'links' tab. Whatipū Lodge is designed for up to 37 guests. For larger groups you will need to consider hiring a marquee to set up on our tennis court or other locations. The maximum group size is 80.